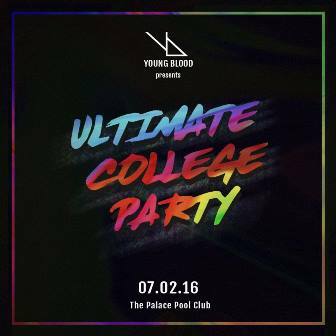 Why you should go: The biggest college party in Uptown Bonifacio is back and it's bigger than ever! Featuring performers from different universities and some of the country's most talented artists, including Chelsea Ronquillo and Carlo Benitez, Andre Palacios and Mark Enriquez, Danny Corsiga for Sunset Sessions. For the main event, they have Deuce Manila, Katsy Lee, Jessica Milner, and MC Chunk (Carlo Tiangco) and Marga On The Mic. Other details: Doors open at 4 p.m. Door charge P500.